Where is the Milwaukee Municipal Court located? The main facility of the Milwaukee Municipal Court is located at 951 North James Lovell Street (formerly called North 7th Street), Milwaukee, Wisconsin. To view a map of the Court's main location, click here. The Milwaukee Municipal Court also operates a courtroom in the City of Milwaukee Municipal Intake Court located in the Milwaukee County Criminal Justice Facility, 949 North 9th Street. All in-custody hearings are scheduled at this location. 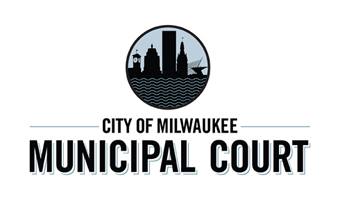 To view a map of the Municipal Intake Court in the Milwaukee County Criminal Justice Facility, click here. When is the Milwaukee Municipal Court open? The Court's regular business hours are Monday through Friday from 8:00 a.m. to 4:45 p.m. Please note, however, that the cashier window closes at 4:15 pm on Fridays.